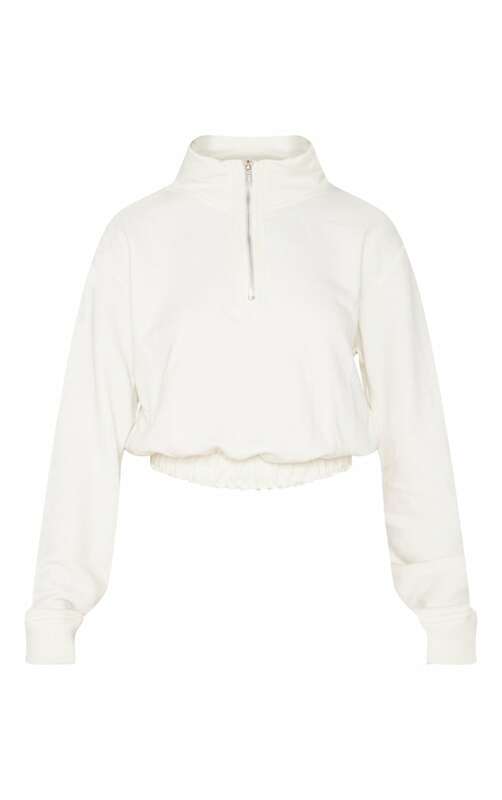 Want something comfy but cool? Wear this cream sweater with confidence girl, featuring a 1/4 zip up detail. We love this featured with cycle shorts and sock boots for a feminine touch.